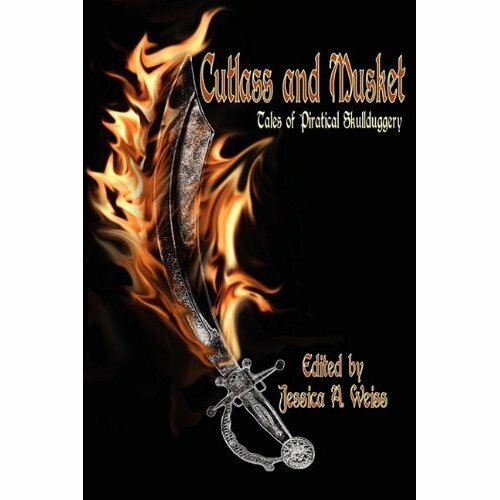 My story “The Elixir of Tears appears in this anthology. I’m fond of this fun little story. It mixes fantasy, magic, and pirates. It was inspired by a book I read where woman desperate to explore the world would dressed up as cabin boys. You can buy the book from Amazon here. Arrgh, you scallywags. Rip open these pages to find yerself lost in the world of pirates and their misdeeds. Join them as they travel to misty islands of fortune, sail the seven seas for mysterious items, kill those that betrayed them, and lay siege to monasteries. This collection of new work brings you 18 short stories and a new novella by M.S. Gardner. But beware…if ye escape Davy Jones’ Locker, ye may still face the plank.